Recording by the TDP / FROG has added further detail to the site record created by the Thames Archaeological Survey. 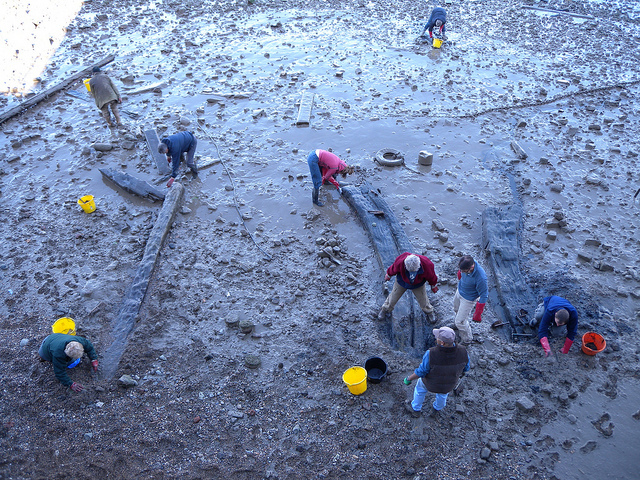 Investigations were focussed at the eastern end of the site where a large number of nautical timbers were recorded; these are likely to represent the remains of ship breaking on the foreshore during the 18th century. 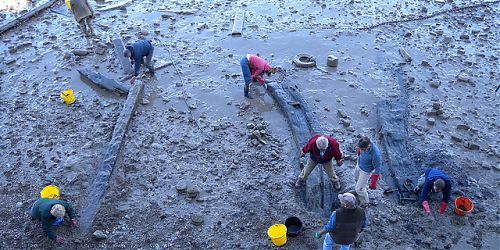 Other structures of interest include access features associated with the Mayflower PH, bargebeds and widespread artefact scatters of Delftware kiln waste and animal bone representing localised waterfront activity. Check out the articles below to learn more about the Rotherhithe foreshore.